Celia is a member of the Hong Kong Institute of Certified Public Accountants, the Hong Kong Institute of Chartered Secretaries, and the Institute of Chartered Secretaries and Administrators. 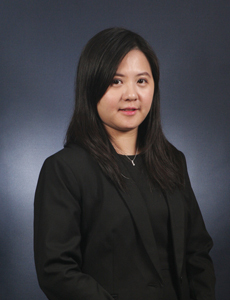 Ms. Wu holds a Bachelor of Business Administration degree in Accountancy from The City University of Hong Kong and a Master degree in Corporate Governance from The Hong Kong Polytechnic University. She started her career in a Big 4 accounting firm and accumulated over 15 years of experience in accounting, auditing, internal control and risk management. She has working experience in MNC and HK listed Company before joining KLC in 2018.